I am a fully qualified Air Conditioning Energy Assessor under the CIBSE accreditation body (Chartered Institute of Building Services Engineers).Member LCEA 156801. 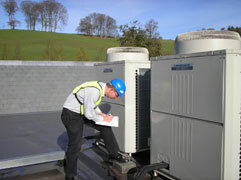 I am also a fully qualified F Gas refrigeration engineer with over thirty years experience in the industry. As an Air Conditioning Energy Assessor (ACEA). I am able to offer you a service which includes a site survey of your air conditioning equipment, detailed observations, energy saving recommendations and the lodgement of your TM44 report with the governments official body Landmark. Your TM44 Certificate will also be lodged ‘online’ with the Governments Landmark website. This certificate will be valid for five years. 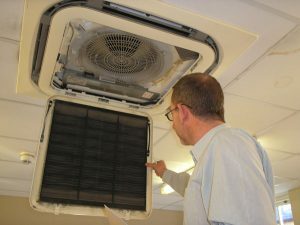 My site inspection will also include advice and recommendations relating to the performance and energy consumption of your installed equipment. Previous inspections have produced large energy savings for my clients. My most recent inspections have included South Somerset District Council, Cricket St Thomas Hotel, RNAS Yeovilton and Millfield School. For a free quotation, please email gary@greenstockrefrigeration.co.uk or call me on 07971 741936.